A Boogie Wit Da Hoodie reclaimed first place with 46K Units. Future came in second place with 40K Units, and Lady Gaga & Bradley Cooper came in third place with 40K Units as well. The only new album in the top 10 was from Queen who came back up the charts to take 10th place. Maroon 5's resurgence after playing the Super Bowl was their "Red Pill Blues" album re-entering the charts in 40th place with 14K Units. A Boogie Wit Da Hoodie took back first place. Future stayed in second place. And Lady Gaga & Bradley Cooper moved up a couple of places to third palce. 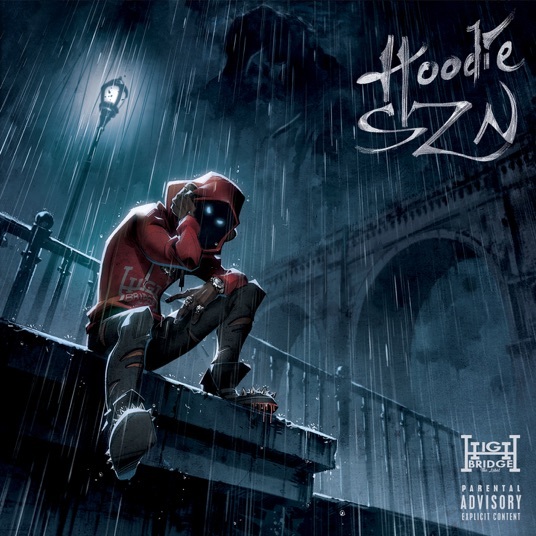 A Boogie Wit Da Hoodie's Hoodie SZN reclaimed 1st place with 46K Units. Future's The WIZRD came in second place with 40K Units. And Lady Gaga & Bradley Cooper's A Star is Born Soundtrack came in third place with 40K Units as well. 21 Savage's I Am > I Was (40K Units), Travis Scott's Astroworld (40K Units), Post Malone's Beerbongs & Bentleys (37K Units), Meek Mill's Championships (36K Units), Drake's Scorpion (36K Units), the Spider-Man: Into The Spider-Verse Soundtrack (35K Units), and Queens's Greatest Hits 1 (34K Units) took the top 10 in that order. The Backstreet Boys new album DNA dropped to 21st place (20K Units). Weezer's the Weezer (Teal Album) plunged to 44th place (14K Units). Maroon 5's "Red Pill Blues" re-appeared on the charts after playing the Super Bowl at 40th place (14K Units). Luis Fonsi's first new album after Despacito, Vida, didn't make it in to the top 10 at 27th place (18K Units). And Cassadee Pope's first album after leaving her major label, Stages, didn't chart. Next up we'll have releases from Ariana Grande, Panda Bear, Emarosa, LCD Soundsystem, and Michael Bolton. See our Super Winter Album Guide 2019 for all the albums coming out this winter.